A Shirabyoshi dancer Gio was loved by Taira-no-Kiyomori but was jilted when he was enslaved by the beauty of another Shirabyoshi, Hotoke-Gozen. 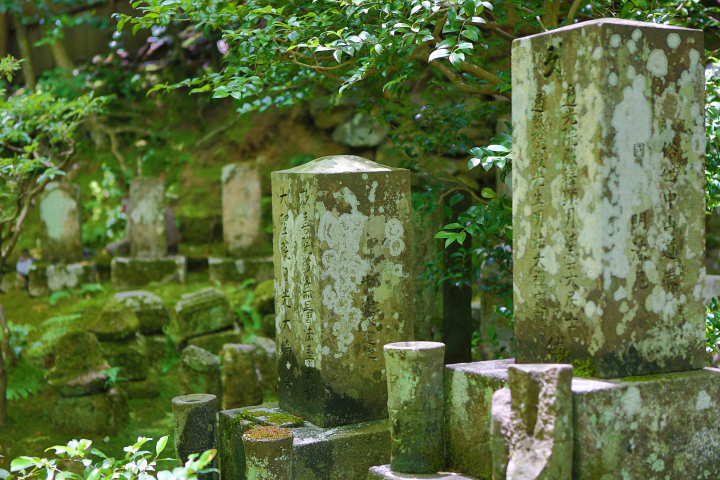 Gio, her sister Ginyo and their mother Toji left Kiyomori and after all they entered a nunnery that was present day Gio-ji. Then, Hotoke-Gozen joined them as she knew that she would be eventually jilted also by heartless Kiyomori. It was when Gio was 21 years old and Hotoke-Gozen was 17. The four women lived here remainder of their life. Best viewed during a wet period in time (dry seasons see the moss go brown) and down a remote road, the temple makes for interesting viewing. 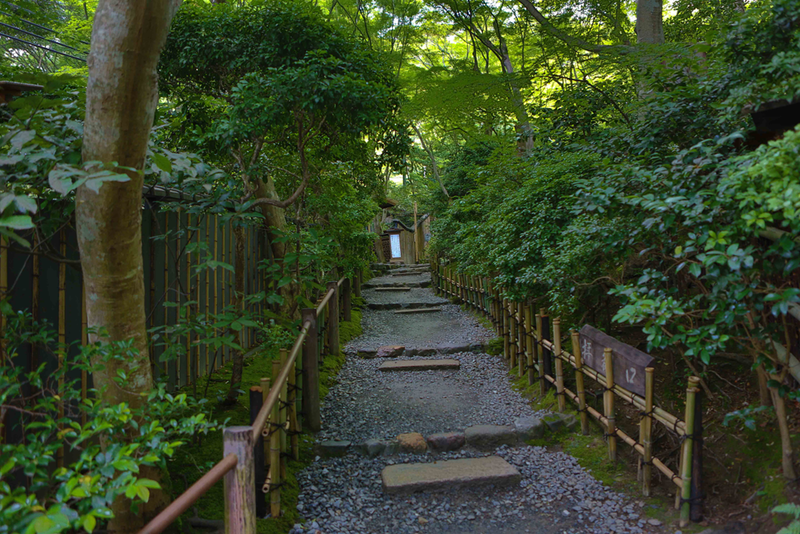 Walking down the entrance path you are covered by a thick canopy of leaves. 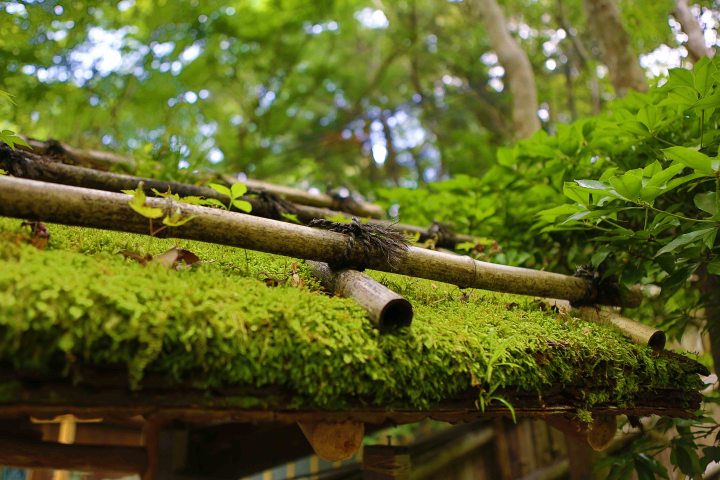 The moss is everywhere, growing on every roof and fence. Turning the corner you come upon an open area in front of the temple. It was a bit surreal, the glowing greens. Looked like a movie set (I don’t know why, but that is what popped into mind). 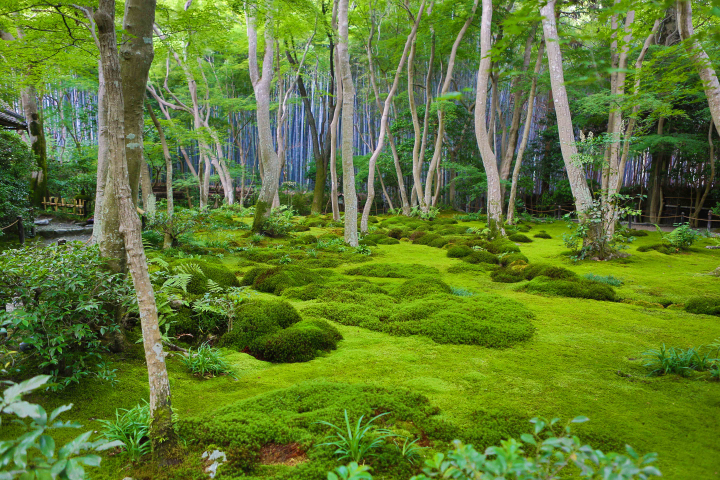 If memory serves me, there are 19 different mosses. A few that are quite invasive and needed to be regularly culled back to ensure they do not take over the other mosses. 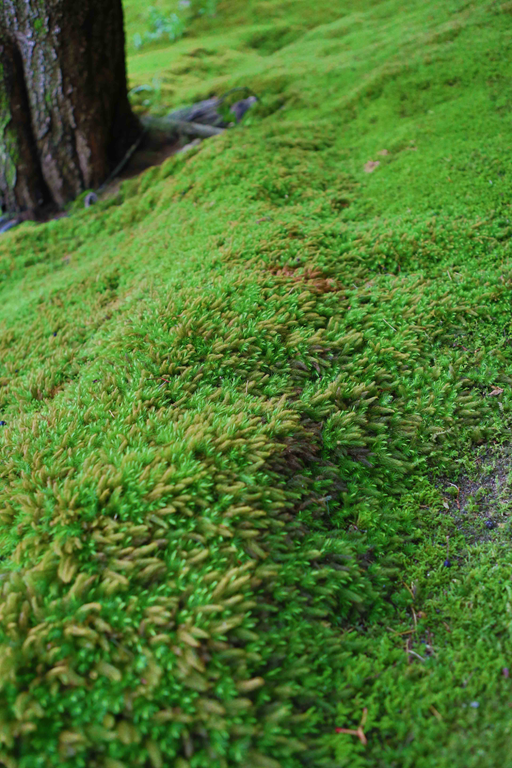 Including this moss that was furry to the touch. Of course, hydrangea. 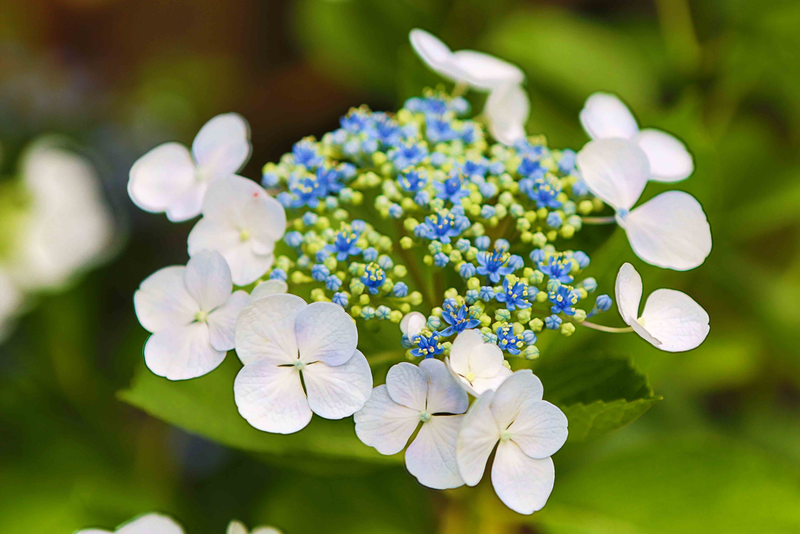 At least I think it is a hydrangea …. Rounding the corner there is a cemetery and in the hundreds and hundreds of times Yoshida-san our guide has been here, something he had never seen. 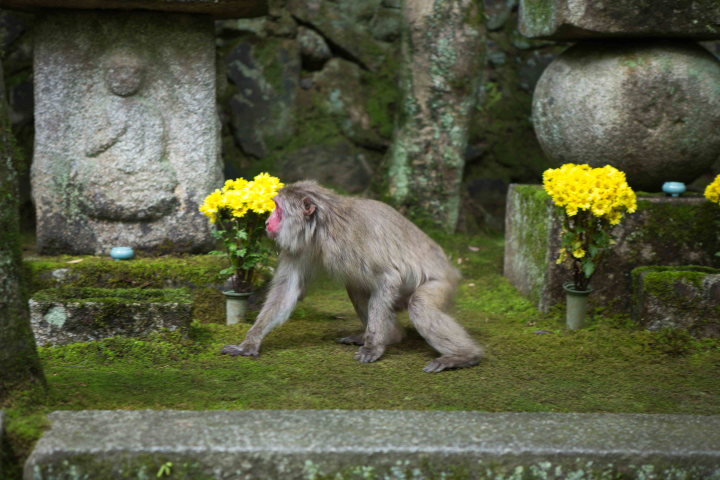 A lone monkey. Sad to say he was injured (bad left hand). He did sit and enjoy eating a few daisies though. Interesting place. 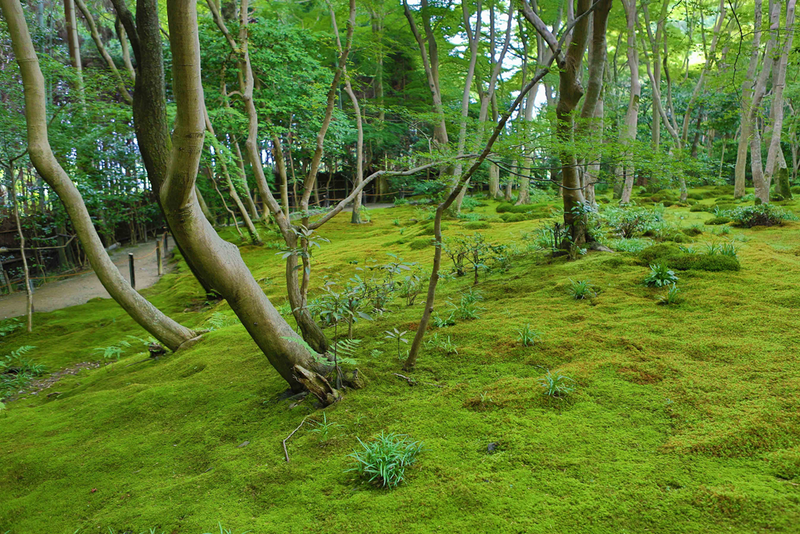 Not busy, serene and the vibrancy of the mosses were visually stunning. 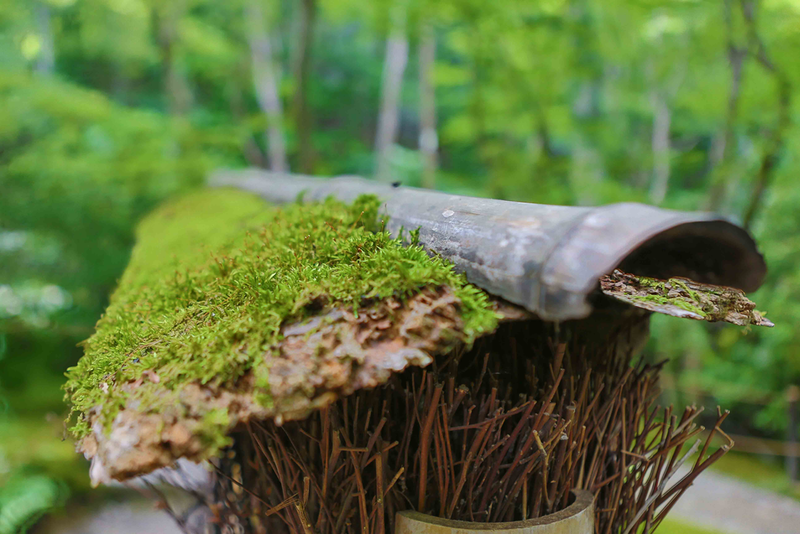 This entry was posted in Our Asia Adventure, Photography, Travel and tagged Canon 5D Mark III, Canon EF 28-70mm f/2.8 L USM, culture, HDR, Japan, Kyoto, Moss Temple, photograhy, travel by michaelweening. Bookmark the permalink.